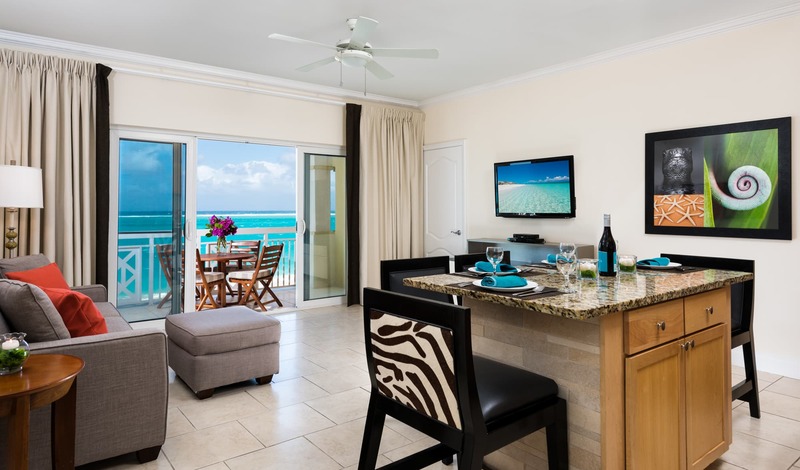 Each studio features a king or queen bed, balcony or terrace, kitchenette equipped with a microwave and small refrigerator. 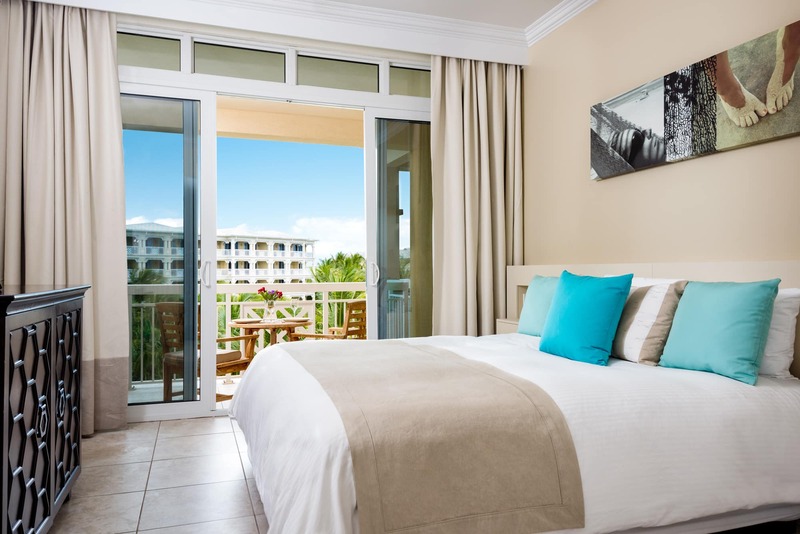 The one bedroom suites feature a balcony or terrace and a master bedroom with king bed and a full en-suite bathroom. 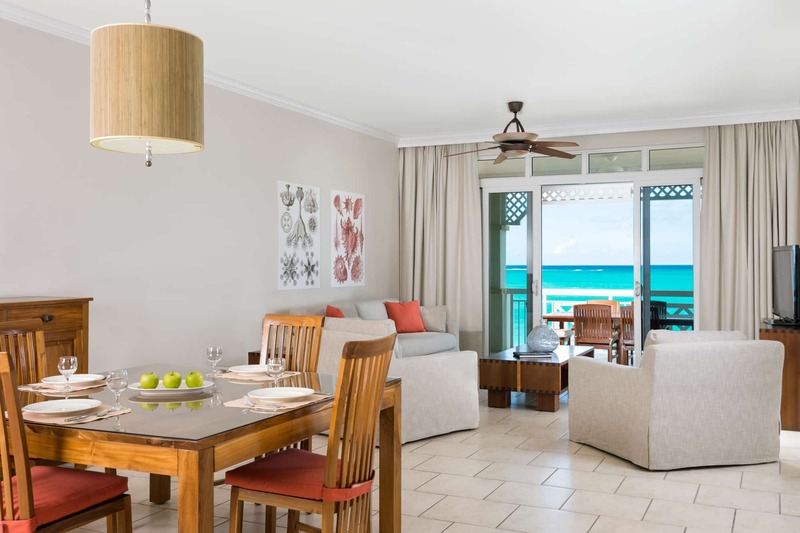 Both bedrooms in the 2 bedroom suites offer flat screen TVs and full en-suite bathrooms with separate showers and bathtubs. 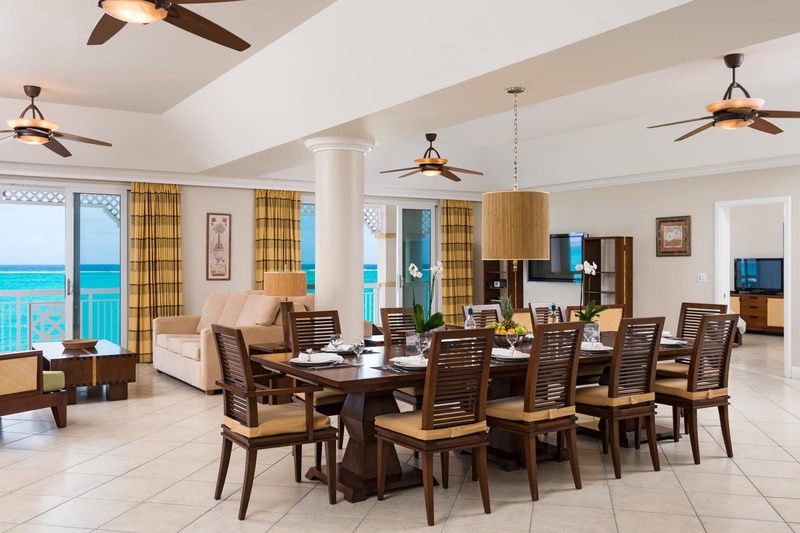 This stunning setting commands expansive views over Grace Bay and 4 bedrooms with 2 master bedrooms.